As you would expect from the 'Jewel of the Cotswolds' Broadway has its fair share of restaurants and tea shops from which the tourist can choose. We list below those available in the village that can be recommended. The Cotswold Hills and surrounding area is renowned for its world-class locally grown produce, with farmers markets and food festivals a regular feature on the local calendar. The area is also home to a wealth of good-value, unpretentious farm shops and delis, displaying and selling Cotswold meats and game, pickles, chutneys and jams, cheese from local dairies, and some of the finest vegetables in the UK including the famous Vale of Evesham asparagus. 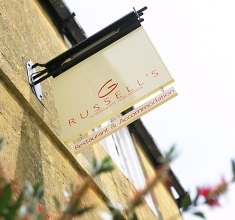 Damian Clisby joined Russell's in June 2011 and brought a wealth of experience and inspired ideas. His new menu includes some great dishes including Russell's Crab Cocktail and Lighthorne Rump of Lamb, Pomme Anna, Baba Ghanoush, Olives & Peppers, we continue to offer our great value fixed price lunch and a Roast lunch on Sundays. 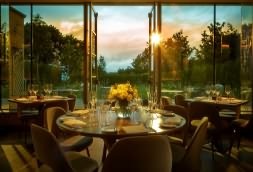 A sense of well-being defines The Garden Room restaurant at Dormy House. This is classy dining in a modern, light-filled setting. Fresh, locally-sourced menus that have been created with passion are served with flair by Head Chef, Sam Bowser and his team. The ethos is to present superb dishes of seasonal country food, both farmed and foraged, using suppliers who are known personally to the hotel. Don’t forget, The Dormy overlooks the Vale of Evesham, otherwise known as the Garden of England. • Alfresco dining is available on the terrace in summer months. 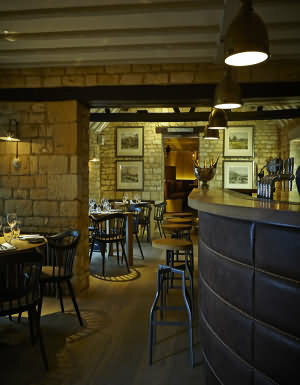 The Potting Shed is everything a Cotswold country dining pub should be. It’s relaxed and inviting, with a large leather-and-oak bar and a rustic agenda. So come and use The Potting Shed as your stopping-off point on the way home from work – or as your 19th hole if you prefer. Dress up and enjoy a pre-dinner cocktail. Or dress down and bring the kids. We’re open. 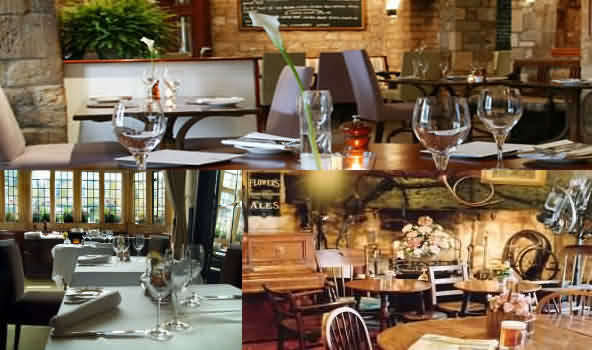 Situated just behind the village green of Broadway this traditional 17th Century Inn, built in Cotswold stone, provides a wonderful atmosphere in which to dine out. CAMRA recommended we have also four exclusively brewed seasonal beers, for the autumn it is 'Wizard Brew' followed by our winter beer 'Lords -a- Leaping'. Having an open fire in the bar with our own mulled wine and hot toddies in the winter and Pimm's in the summer on our patio. Tattersalls Brasserie is to be found in the centre of The Broadway Hotel in the beautiful new Atrium. 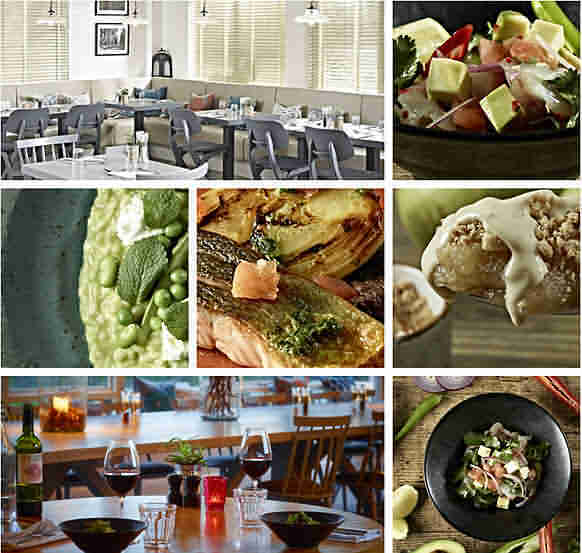 The elegant, light filled brasserie offers an extensive a la carte menu with a good selection of fresh and seasonal dishes along with a choice of 31 day dry aged free range steaks. Open from 12 noon, seven days a week the Tattersalls Brasserie offers a contemporary twist that sits hand in hand with the traditional surroundings of the Broadway Hotel. 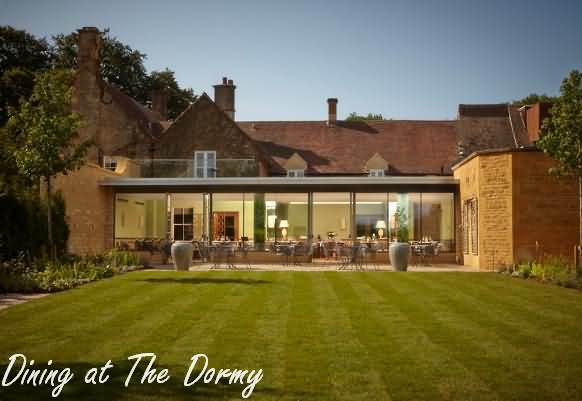 Be tempted by the tantalising menu, with seasonal dishes that use fresh local produce from the Vale of Evesham and the surrounding Cotswold countryside. Alternatively, lighter meals can be enjoyed in the informal atmosphere of the Bar. We are located just off the main High Street in the centre of Broadway Village. We serve only the finest fish. You can eat in or take away, and we are open for Lunch and Dinner. Enjoy breakfast, lunch, afternoon tea and dinner at the Fish. Light, bright and supremely welcoming, our restaurant is an elegantly laid-back spot to enjoy fine, seasonal British food surrounded by woodland views. Whether you’re here during the week or lucky enough to be around for our soon-to-be-legendary Sunday roasts, The Fish’s restaurant offers you the Cotswolds on a plate.